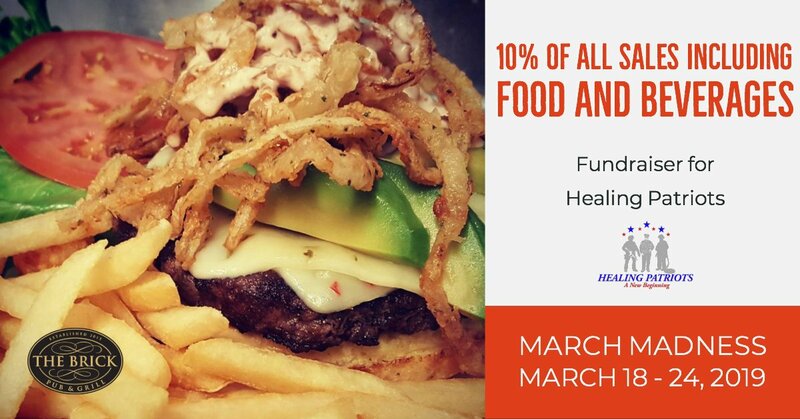 The Brick Pub and Grill is partnering with Healing Patriots the week of the NCAA March Madness Week to host a fundraiser. will help our nations heroes find “A New Beginning” by going on multi-day outdoor expeditions with Healing Patriots. Come on out, Enjoy the Food, Atmosphere, Games, and support a worthy cause!